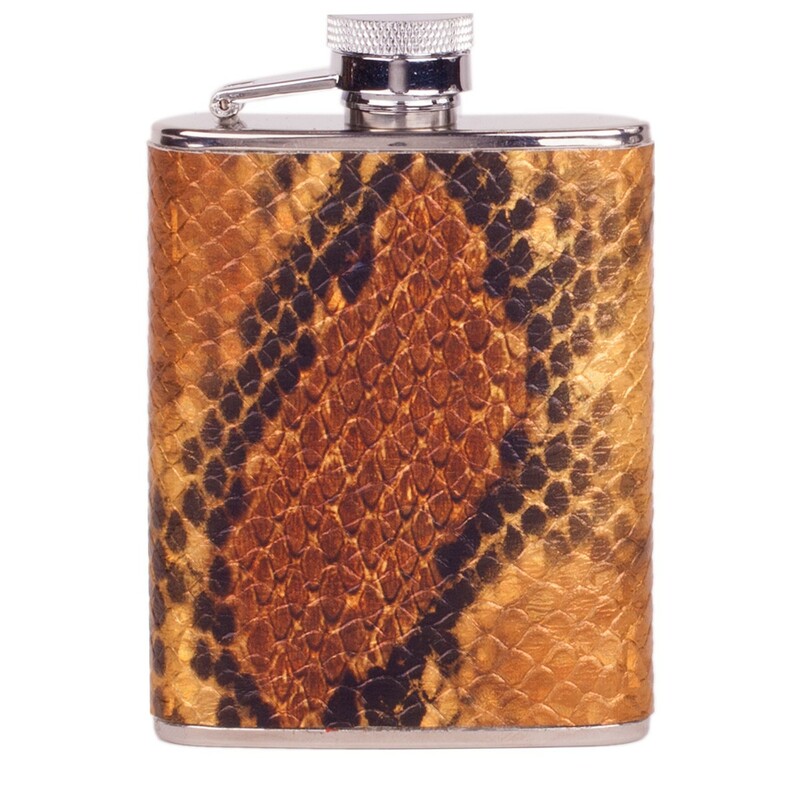 This classic stainless steel hip flask is wrapped in a faux snake skin PU - the perfect gift! The watertight screw top allows for no spillage. Clever in design, an arm holds onto the cap when the flask is open. 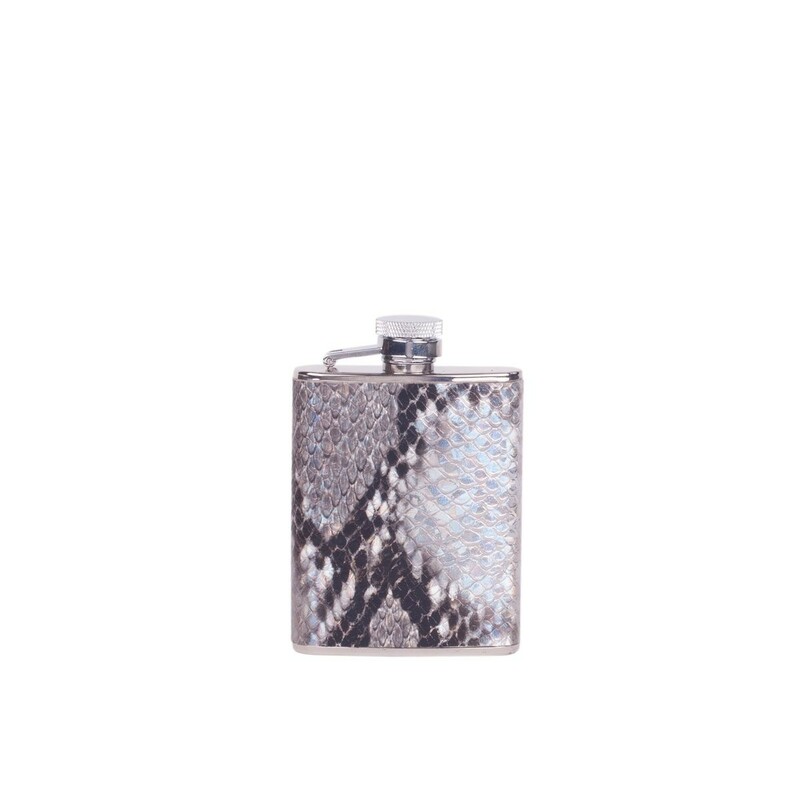 Presented in it's own gift box with a small stainless steel funnel for easy filling.